Take To The Skies with Signa Aviation Services Reviewed by Sibo Tshabalala on November 14, 2018 . Signa Aviation Services, cutting edge in Aviation Training. I remember as a child, I would lie with my back on the grass looking up the skies, floating on the clouds. My brother on the other hand would be racing around me, his hands spread out as wings “flying” around. We, in our own way were up in the Sky. If like us, you’ve dreamed of taking to the skies, Signa Aviation Services can make your dreams come true. You can surf the clouds and spread your wings at Signa. Signa, Latin for Standards, a motto they live by. Signa is recognized worldwide as experts in the profession of aviation training, it’s also renowned for the highest standard of flight training. Whether it’s for ab-initio trainees at the start of their flying career, or qualified experienced pilots needing new skills for career development into command or training roles, Signa Aviation Services offers it all. 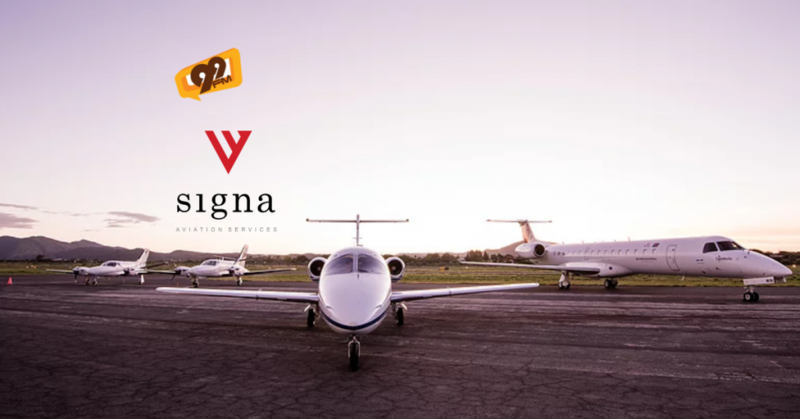 99FM had the pleasure of speaking to Signa Aviation Services Ground Operations Manager, Frederico Ribeiro.